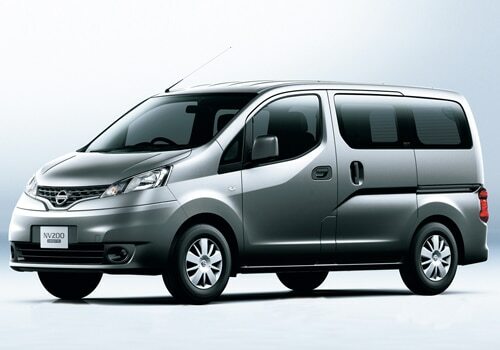 Nissan's new MUV is expected to be introduced in August 2012 as said by company officials. The new MUV is similar to Nissan NV 200 and has been sold in Europe and other parts of the world and will kept against Toyota Innova.The MUV will be released at the Delhi Auto Expo to be held in January as reported by company. The MUV will be launched in partnership with Ashok Leyland and will be kept with Nissan Badge. The partners had introduced the Dost, 1.25 ton of mini truck. The company’s city based plant which has capability to produce 2 lakh vehicles annually and will improve its capacity to produce 4 lakh vehicles next year. Eighty percent of the cars manufactured at this plant are exported. The Nissan India which has sold 13,000 cars so far in this fiscal year is getting short in reaching its annual target of 40,000 units. The car maker officials has said that the company is 80% on track to achieve the 2012 target and expects 2013 sales to be more than double. The vehicle market has shown decrease in sales to about 23.8% in October and this has been biggest low on sales from beginning December 2000 when sales of car have got reduced to 35%. Nissan‘s popular vehicles are Micra and Sunny. Nissan Sunny will see its diesel variant in mid -2012 in the Indian market. The new car will be a hit in our country because of good brand and valuable mileage. The company will have some strict guidelines regarding the car. The car shows good interiors as well as exteriors. The interior part is spacious and carries good fabric seats and can be covered with leather fabric too. The new Nissan MUV car will be made available in new colors.